Privacy Curtain Specialists | Brite Inc.
Privacy Curtains are used in so many different applications. Here at Brite Inc., we pride ourselves on providing you the highest quality privacy curtain for your application. Whether your curtains will be used in a hospital, physical therapy area, phlebotomy lab, home, boat, or RV, we can customize the curtain to fit. Some of the many options that are available include top mesh, grommets, pinch pleat, plastic sewn-in tail slides, top pockets, and break-away Velcro strips. 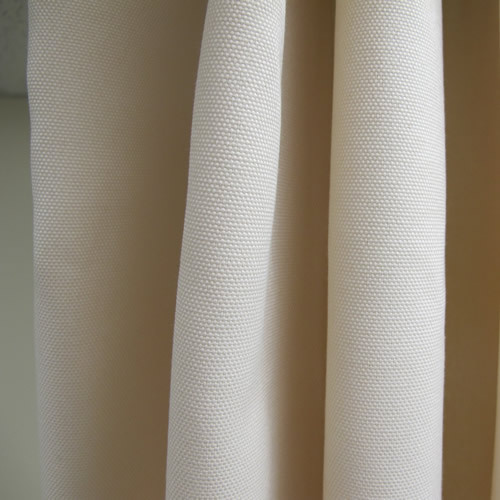 If your curtains are for a commercial or institutional application, our flame retardant fabrics meet or exceed the nationally recognized fire codes. Brite Inc. is your full source solution for all privacy curtains. Click "Custom Curtain Creator" below and see the Top 20 and Quick Ship fabrics, as well as a full selection of hundreds of additional fabrics available for your project. Note: Due to differences in your monitors color settings curtains fabrics may not be an exact match to what you see on your screen. Please feel free to request a sample of any fabric you wish to ensure that you get the fabric that you want. 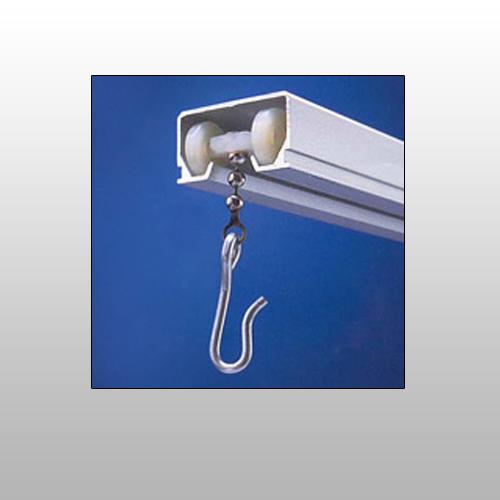 DRL-98 cubicle track with DRL-100 roller carrier (shown) or the DRL-600 spool-type carrier is designed to be surface mounted, suspended, or recessed. Section size is 1-3/8" x 3/4" x .058" wall thickness. Extruded of 6063-T5 aluminum alloy. Track has 204-R1 satin anodized finish. 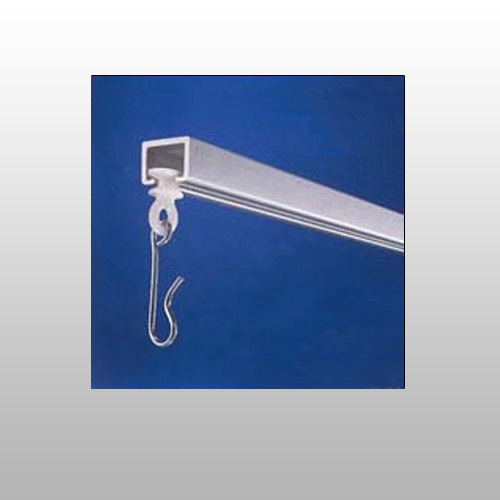 DRL-50 cubicle track with DRL-400 slide carrier is designed to be surface mounted, suspended, or recessed. 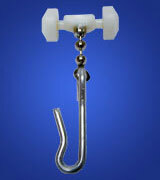 Section size is 5/8" x 1/2" x .062" wall thickness. 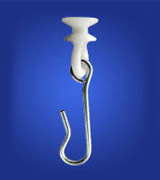 Extruded of 6063-T5 aluminum alloy with a 204-R1 satin anodized finish. INSTRUCTIONS: Using the 'Style Selector' drop down, choose a Style from the 6 diagrams below. After you select a style, boxes will appear where you will enter your measurements in inches. When you are done you can choose to add another track style by clicking "Add Another Setup", or click "Next Step" to proceed. Please call 1-800-791-2946 if you need help. Note: You have reached the maximum number of track setups for this order. 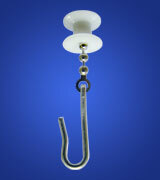 To order additoinal setups sumbit this order and begin another or call our helpful staff at 800-791-2946. You may be eligable for quantity discounts. (in inches) Width (in inches) : Qty. what is this? Note: You have reached the maximum number of curtains for this order. To order additional curtains sumbit this order and begin another or call our helpful staff at 800-791-2946. You may be eligable for quantity discounts. INSTRUCTIONS: Review your setup below and click 'Add to Cart' to proceed with your quote request. This will add the information you've entered to your cart, allowing you to easily request a quote from our customer service staff. Please do not hesitate to contact us at any time with questions: 1-800-791-2946.